What is it ? 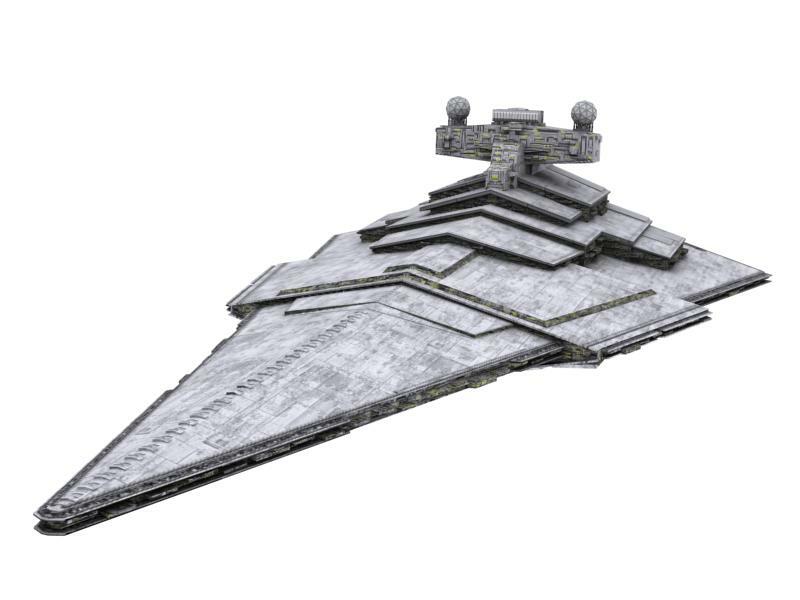 : Sabine, Fenn Rau, Ezra and Kanan are going to Sabines homeworld of Krownest, Sabine plans to take the Darksaber to her mother and her clan in an attempt to unite them with the Rebels. As they enter the atmosphere, even though she identifies herself, they still come under attack by Mandalorians in Jetpacks who disable the Phantom II, forcing it to crash land in the wilderness, where the Mandalorians attack them as they exit the ship. As Kanan and Ezra deflect the incoming blaster bolts, the Mandalorians over hear Ezra calling Sabines name and cease fire, and reveal that their leader is Sabine's brother, Tristan. They are escorted to the Wren stronghold, where Sabine's mother, Ursa, who after seeing the Darksaber, agrees to talk with the group, but only if they hand over their weapons. Sabine spars with her brother, and they talk about how her betrayal has affected the clan, with it losing it's holdings and influence. Fenn Rau sneaks through the Stronghold, recovering the Jedi's lightsabers, and spying on Ursa communicating with Gar Saxon and trading the Jedi for her daughter. When told Sabine storms in to see her mother, but is interrupted when Gar Saxon arrives. He declares that Ursa was only being a loyal Mandalorian, and Ursa hands over the Darksaber, before Saxon declares clan Wren to be traitors because they have harbours traitors and enemies of the Empire. 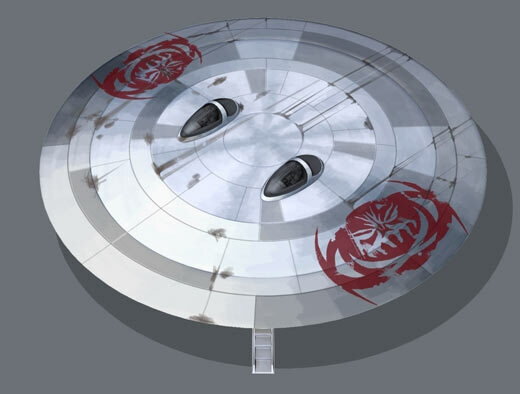 He attempts to convince Tristan to join him, but clan Wren are united and fight back, after Fenn Rau re-arms the Jedi. The battle rages across the Throne room, but eventually comes down to Sabine versus Gar Saxon, to help her fight against Saxon armed with the Darksaber, Ezra gives Sabine his lightsaber, and the two smash out of the windows into the snowy landscape outside. 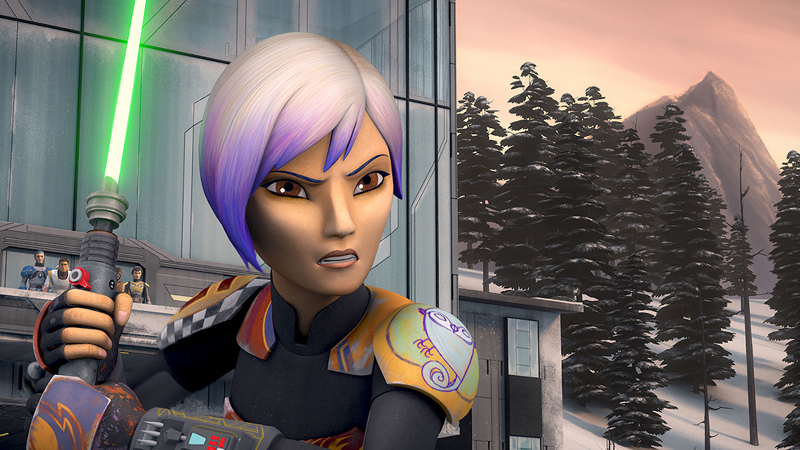 After both are grounded when they damage each others jetpacks, they clash as the ice beneath them cracks, and Sabine disarms Saxon. The Mandalorian way expects her to execute him but she declares that is no longer her way, turning her back on him and walking away. She does see when he pulls a blaster on her, and a shot rings out, but it's Saxon that drops, having been executed by Ursa Wren. As the heroes prepare to leave, Sabien tells them she won't be joining them, she is staying behind to help her mother, as does Fenn Rau. Kanan tells her that he'll miss her, and as Ezra and Kanan leave aboard the Phantom II, Fenn tells Sabine that she'll make a good leader for the Mandalorian people, but she rejects that and vows to find a true leader for her people. High Points : My memories of this episode weren't great, but it's a fast moving solid episode, and although not a lot seems to happen, it moves the plot on nicely, gives us a glimpse at Sabine's past, and has some good action. The snow covered landscape of Krownest I have to complement as well, with it not only looking great, but the characters leaving footprints in the snow, and there being trails of comings and goings from the Mandalorian stronghold which really helped sell the reality of it to me. Low Points : Mandalorian honour seems to be something discussed, but doesn't actually seem to be worth anything. Ursa promises that the Jedi will not be harmed if they hand over their weapons, then tries to trade them to Gar Saxon for the safety of her daughter. While there are ways around her promise that I can see, she doesn't even attempt those, just betraying her word and her daughter. While I can see ways that Mandalorian honour might work, to allow them to lie to enemies, but you'd think word would get out and everyone would know that Mandalorians and liars whose word isn't worth a thing. So what do you really think ? : I enjoyed this episode, and even though I know she'll be back, I'm kind of sad to see Sabine go, I would also liked to have seen Fenn Rau used a little more in the series, perhaps in the same way that Rex is used, as an expert advisor when required, so am a little disappointed that when he joined the Rebellion all he has done is helped Sabine return to Mandalore, and then left. Final Words : Well, we're getting closer to the end of season 3, and we've got a lot of plot lines hanging, with Darth Maul, Fulcrum, Thrawn searching for the Rebel base, and the planned attack on Lothal. Glimpsing through the episode titles, we've got some absolutely brilliant episodes to come.